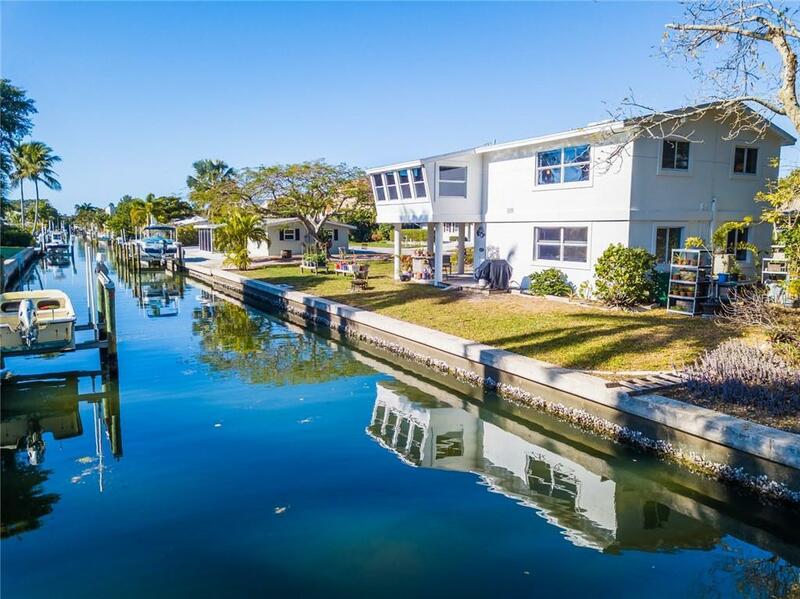 Geometric mid century design elevated house on a canal on Longboat Key near Sarasota and Anna Maria Island. The floors from the french door entry, through the entire first level are a unique beachy colored travertine stone. Ground level bedroom, bath and bonus room that could easily make a 4th bedroom or mother in law suite. Upstairs is the master bedroom, bathroom and the 3rd bedroom, currently being used as an office. 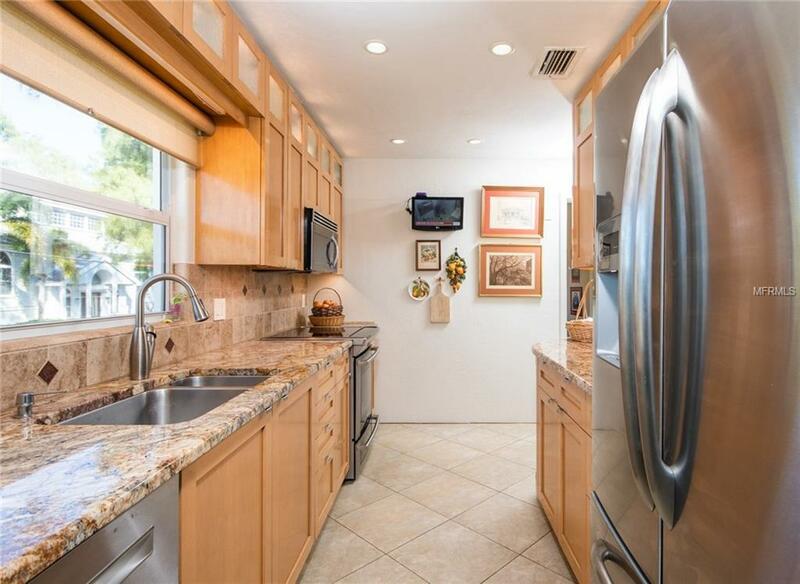 The kitchen is modernized with gorgeous Burgundy granite counter tops, lighted window pane custom Criterion cabinets line the ceiling, led lighting, under mount lighting, stainless appliances. Upgraded Hunter Douglas window treatments and PGT insulated windows. The over-sized lot has plenty of room for a pool or you can join the club nearby. Seawall has been replaced, the canal is deep and wide with plenty of space for multiple docks and lifts to be installed. 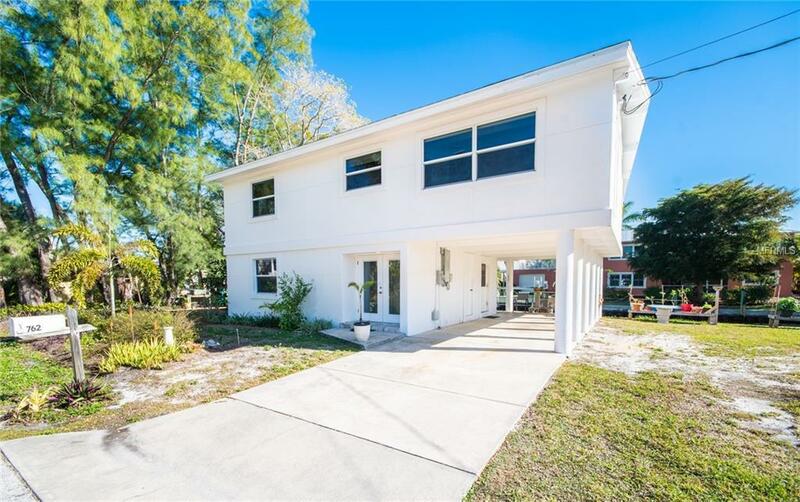 7 houses from the ICW channel and many hours of waterfront fun. Kayak and paddleboard the grass flats of Sarasota Bay with frequent sightings of manatee and dolphins. 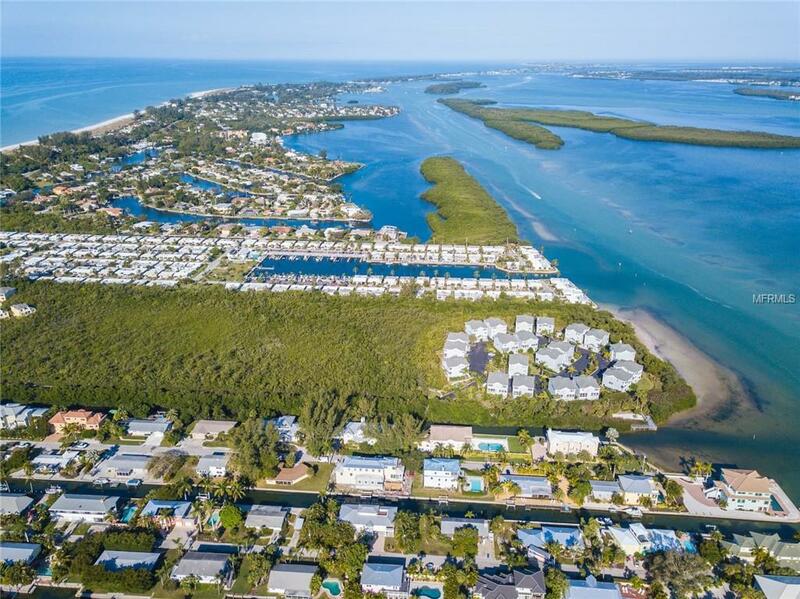 10 houses from deeded Beach Access on Longboat Key.